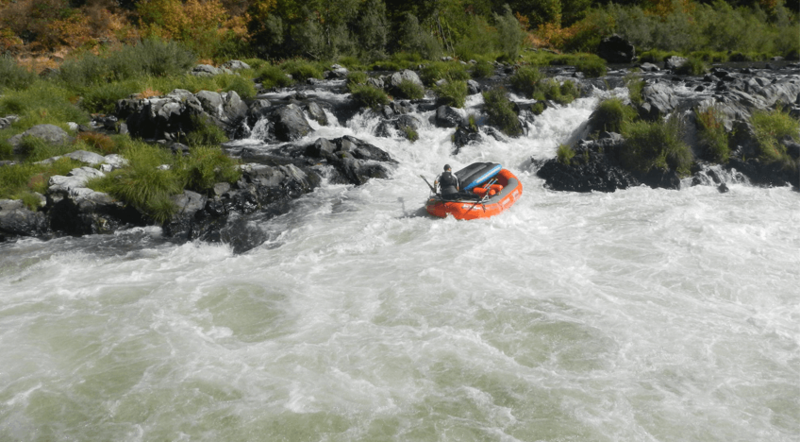 Welcome to the Rogue River 2015 Season! Spring has sprung, and we are gearing up for another fun filled season on the beautiful Rogue River! We are proud to announce our upcoming award in the June issue of Sunset Magazine for ‘Best of the West- Gourmet Camping’, soon followed by a feature in the July Sunset Magazine issue on our award winning ‘Wiking’ (Wine hiking) and ‘Wafting’ (Wine rafting) trips. In hiking news, we recently got back from our trail scouting trip, and things are looking great for a successful, exciting hike support season. The volunteers at Northwest Youth Corps have done a great job of maintaining and clearing the trail for us this season. Right now, the trail is a lush spring green covered in blooming Iris and spring wildflowers. The creeks are flowing and waterfalls are booming virtually every half mile down the trail. New to the river this year, a recent high water event which brought new campsites and beaches throughout the Wild and Scenic section. It’s been fun to see the new spin on our old classic beaches. Most notably, Jenny Creek and Lower Horseshoe have gotten a bit of a facelift, and now have high, flat, beautiful beaches to camp on, relax, and enjoy. In other news, our guides are starting to come out of hibernation, and are gearing up for a busy, eventful season. We have many returning guides this season, and a few fresh faces from places as far away as Costa Rica and as close as down the road, in Grants Pass. Check out our guide bio section on our website to meet our phenomenal group of guides. Here at Rogue Wilderness Adventures, a fun filled season is approaching quickly and we can barely contain our excitement to see all of you soon. We encourage you to visit our Trip Advisor site, and see our newest and proudest achievement- the ‘Bravo’ award, for over 250 five star reviews. Come see us this summer and let us show you and your loved ones the time of your life!